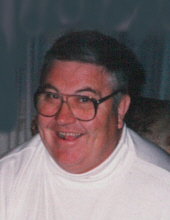 Adrian Hagins, 83, of Middletown, died Saturday, February 2, 2019, at Spring Hills Middletown. He was born in Bath County, Kentucky on November 29, 1935 to parents Marcus and Loretta (Walters) Hagins. Adrian served his country in the United States Army. He worked at Armco/AK Steel for 37 ½ years retiring from East Processing in 1991. Mr. Hagins is survived by his wife, Carol (Anderson) Hagins; sons, Blaine Hagins and Tod Hagins; brothers, Harden (Pauline) Hagins and J.B. Hagins; sisters, Leona Hurst, Fay Davis and Judy Bush and grandchildren, Keaton, Hannah And Zachary. Adrian was preceded in death by his parents and brother, George Walters. Funeral Service will be held Wednesday, February 6, 2019 at 12:30 pm at WILSON-SCHRAMM-SPAULDING FUNERAL HOME, 3805 Roosevelt Blvd., Middletown with Rev. Daniel Herb officiating. Visitation will be prior to the service from 10:30 am - 12:30 pm. Interment will be at Fairmound Cemetery, West Elkton where Military rites will be conducted. Memorial donations may be made to Ohio's Hospice of Dayton, 324 Wilmington Ave., Dayton, OH 45420-1885 or Messiah Lutheran Church, 4715 Holly Ave., Middletown, Ohio 45044. To send flowers or a remembrance gift to the family of Adrian Hagins, please visit our Tribute Store. "Email Address" would like to share the life celebration of Adrian Hagins. Click on the "link" to go to share a favorite memory or leave a condolence message for the family.